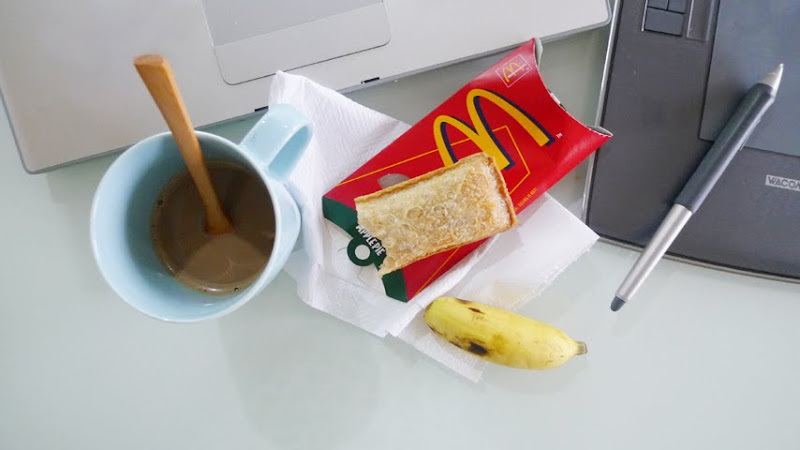 Apple pie, banana and coffee. The weather is behaving like a little girl throwing tantrum – raining for a while, stop for a while, repeating the cycle over and over again since morning. But i seldom mind the rain (only when i have plans for outdoor activities), it keeps the weather cool.